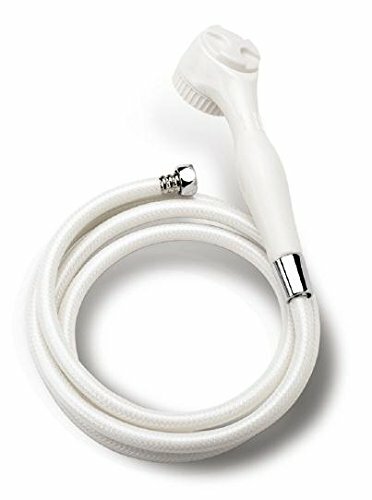 Extra long 86" (218 cm) hose allows user to bathe comfortably while seated in shower. Hand held shower easily adapts to existing shower arm, delivering standard or pulsating spray. Diverter valve allows you to use the existing shower head, too.